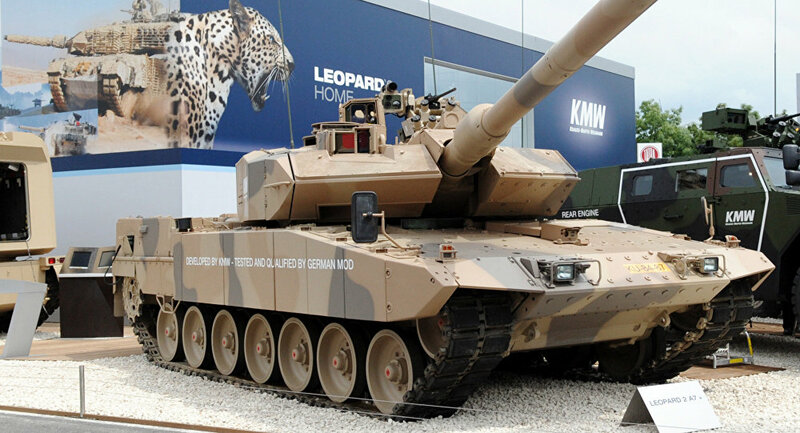 The German Rheinmetall arms corporation has considered supplying military equipment to Turkish armed forces, as well as building tank factories in the country, causing severe criticism among the German opposition. Earlier in the day, peace activists placed a decommissioned tank near the building in Berlin where Rheinmetall's annual general meeting took place, Deutsche Welle reported. With this move, people protested a new Rheinmetall plan to produce tanks and military equipment on Turkish soil. — Ben Knight (@BenWernerKnight) 9 мая 2017 г. "The dissatisfaction among human rights groups and the population at large is growing because people think that, under the current political circumstances, Turkey should not be armed even more, and shouldn't be supported in building up its own defense industry. Turkey is transforming more and more into an autocracy — especially after the referendum," a German activist, Barbara Happe, told Deutsche Welle. — Matthias Flieder (@phasenweisheit) 9 мая 2017 г. For many years, the Turkish authorities and Kurdish minorities in the country have been involved in a bloody military conflict that has claimed lives of thousands of innocent civilians. Representatives of the German opposition fear that Rheinmetall's project would further deteriorate the security situation in the country and in the region in general. "Viewing arms exports as a normal business decision is not only cynical, but also deadly for the Kurdish population," a German left-wing politician of Kurdish origin, Sevim Dagdelen, told German Die Welt newspaper. In late July 2015, a Kurdish-Turkish conflict between various Kurdish insurgent groups and the Turkish government broke out again following a failed two and a half yearlong peace process, designed to resolve the long-lasting conflict.